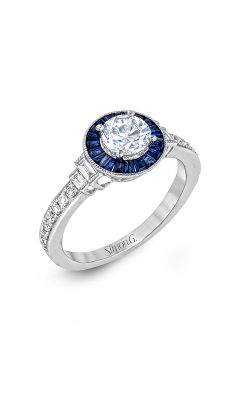 With many styles to choose from, Simon G. simply offers the finest class of jewelry available. 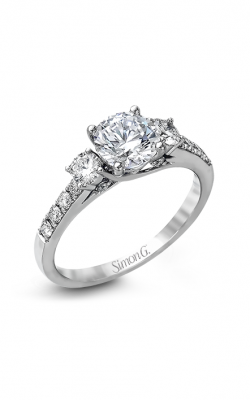 You can see a difference in the quality; while other jewelers set their stones using glue and 2 prongs, the Simon G collection always uses 4 prongs. This helps to protect your diamond and helps to prevent the stones from falling out. 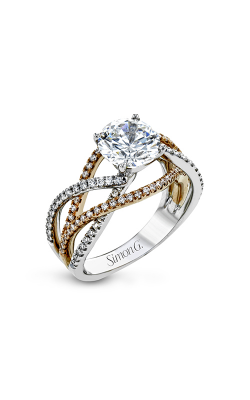 The Simon G collection uses a higher grade of platinum and gold than other jewelry designers to ensure longevity for your ring, as well as to enhance the beauty of your distinct designer piece. What makes Simon G styles so distinct is the attention to detail. The designer believes when he's creating a ring that represents someone's love for another, no detail is too small. 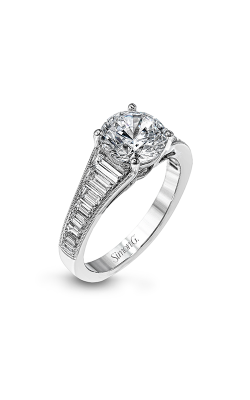 The distinctive and luxurious Simon G collections offer several aesthetics, from vintage to contemporary. The Passion Collection features classic styles with the on-trend look of color. The Passion Collection features a center stone of ruby, sapphire, emerald, and more to create a distinctive luxury look. The Classic Romance Collection has a unique but classy look, featuring contemporary pieces with geometric patterns in a variety of metals, from the finest platinum to white, black, brown, rose and yellow gold. The retro-inspired Vintage Explorer Collection features designs with elegant details on the ring band, including diamond shapes like Marquise and Baguette that are extremely popular with today's brides. The Modern Enchantment Collection is the ultimate in classic jewelry, befitting today's princesses and queens. 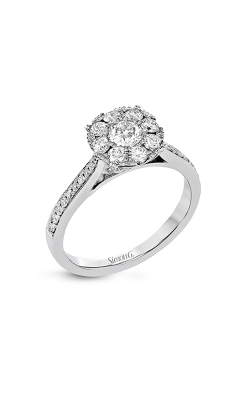 These styles are simple and timeless, while modern and contemporary. 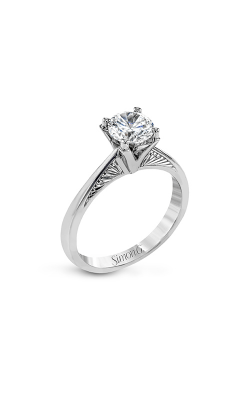 The Nocturnal Sophistication Collection features Princess-cut diamonds, creating the look of a solid plane of diamonds, while ensuring the safety and security of each stone. The Garden Collection features floral motifs and intertwined vine designs on every piece of fine jewelry. 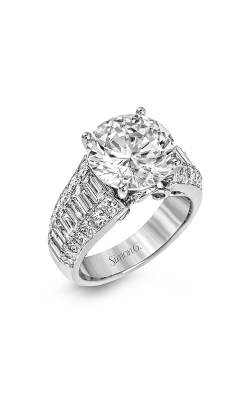 Why Shop for Simon G Engagement Rings at BENARI JEWELERS? 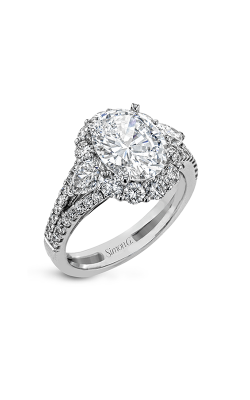 For more than fifty years, Philadelphia's BENARI JEWELERS has been offering one of the largest selections of designer engagement rings, wedding bands and anniversary rings in the area. At BENARI JEWELERS, we take pride in our customer care, offering timepieces and fashion jewelry in addition to our bridal collection in greater Philadelphia, including West Chester, Malvern, King of Prussia and throughout the Delaware Valley area. With two convenient locations in Exton and Newtown Square, we've been providing families with the luxurious and distinct jewelry they desire for over a half a century. 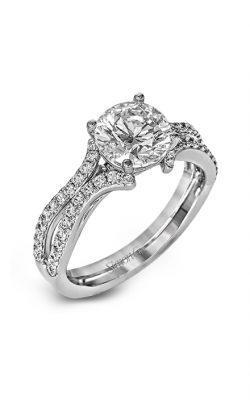 If you'd like to know more about everything we offer, visit us today at Benarijewelers.com or by calling 866-363-0808.